Home » Hotels » Hyatt » World of Hyatt emails being sent out. World of Hyatt emails being sent out. I enjoyed over a year and a half of Hyatt’s top tier diamond status. It was 100% worth the challenge and as a result I’ve soft landed to Hyatt’s new World of Hyatt Explorist status. I’d inquired with a Hyatt rep a few weeks ago as to what would happen after March 1st, seeing as though I’d failed to retain Diamond status, and had been verbally told I would be an Explorist, but now I have written proof. World of Hyatt emails are being sent out and they confirm your status starting in March. Here’s some screen grabs from the emails I just received. And then the broad strokes of Explorist. If you’d like further detail on the World of Hyatt Program, read our overview. 4 ( up to 7 nights) club upgrades. 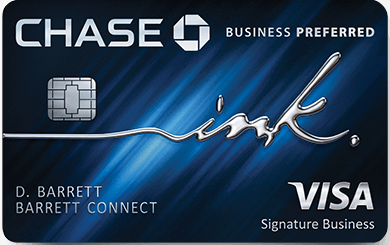 What membership level will be given to Hyatt credit card holders? Hey David – great question. Hyatt credit cardholders will be given Discoverist status and the ability to earn Explorist after spending $50k. Elite nights and stat bonuses for spend are being eliminated tho. I just got my email that says I am Discoverist (Stupid name). I own the credit card. Does this mean that I no longer get my one free night as a credit card holder, or is this a new “benefit”? Hey Jay – thanks for reading and the question. This is an additional benefit and you still get the free category 1-4 night you receive with the credit card. Would u know if explorists get free breakfast at park hyatts? No info on how club upgrades actually work with my Hyatt e-mail. Are they deposited in your account like suite upgrades were? How about their use with a cash and points booking. Looking to do a cash and points in London and they have a club- wondering if this will work there?